I confess that I watch Smallville (Thursdays on the CW) and have for sometime. There is a very basic adult reason I watch a show that is clearly aimed at a thirteen-year old audience; Lex Luthor, played by actor Michael Rosenbaum. I first started tuning in during the third season, which lured me back to watch all previous episodes. 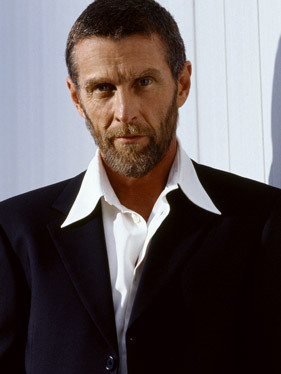 Rosenbaum’s performance as the spoiled rich kid conflicted by inner demons, seduced by power, and struggling against the constant impositions of his Machiavellian father, played by John Glover, were fresh air in the pantheon of Superman portrayals. In Smallville the character of Lex Luthor might have gone on to enjoy a privileged life, righted the wrongs of his father, and become a benevolent billionaire; a superman among normal men. Instead as normal man with the advantage of wealth his life is turned upside down when a car accident sends him to his near death. His life would have been ended were it not for a teenage Clark Kent who intervenes miraculously. Trying to uncover the connection between the mild mannered farm boy (Clark Kent) and the impossible event is the obsession that drives Lex Luthor into a horrible, power obsessed madness far in excess of his father. It is because we ultimately know what Luthor and Clark are to become that this decent is enjoyable to watch. The show highlights our basic internal struggle between the choices that define our character as mere mortals. Michael Rosenbaum seems to know this and the episodes in which his good side is repeatedly beaten out of him reflect his best work. None of us can be the alien Superman, perfect and invulnerable. Because Superman is so good is one of the reasons he quickly becomes a stale boring character. What has always defined Superman is the human weakness in each of us that leads to the pure villainy found in his enemies. The show should never be a boxing match between powerful foes but a road map that shows us if we don’t succumb to evil then we are like the more elevated Superman. Smallville is suffering sagging ratings, Michael Rosenbaum will not be returning in season 8, and now TV guide is reporting that Allison Mack, who portrays Chloe Sullivan, maybe leaving over contract negotiations. Chloe Sullivan is Clark Kent’s long time confidant, popular know it all can do anything heroin, and one of only a handful of characters who knows Clarks super secret identity. Smallville may need to hold on to Allison, but only because the writers or producers seem stuck in the past. For years now Smallville has retreated again and again to storylines about meteor freaks (humans mutated by Kryptonite) and the tired moral message that keeping secrets is bad (sometimes secrets save us). It would be a mistake, far too soon, to bring in someone else to play Lex. Instead the writers should look at this as a chance to remake a rich and darker Smallville to bring back the audience who grewn up with the show. Lex Luthor is a rich and powerful man, he has always needed to go on hiatus so that Clark Kent can fully transform into Superman and Lex can become the ultimate Super-villain. The solution of Smallville’s problems are easy. Pay Allison whatever she needs to come back to Smallville and make season 8 the final season. What would have been season 9 can be the début of the first season of Metropolis: Man of Steel (and I can’t make that loud enough)! Here’s my proposed plot for season 8. 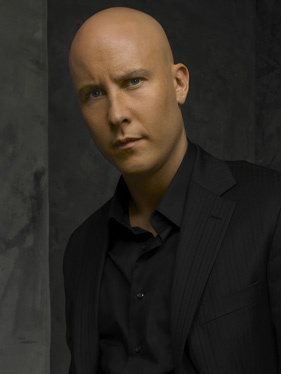 Lex Luthor, played by Michael Rosenbaum in a two hour episode, makes his final struggle against good and evil necessitating the desperate need for Lex Luthor to coldly kill his father. He puts his affairs on hold, turns his companies (headquartered in Metropolis) over to a “trusted ally”, and walks into a third world jungle to force himself to survive among the poorest of people (part redemption, part trial by fire). Chloe Sullivan, caught up in the horror of the situation is egged on by Clark’s inability to transform into Superman. In several swift progressions over the first quarter of the season she transforms herself into a character more evil than the show has thus seen. Her wickedness must be rooted in the constant compromises she makes trying to protect Clark who is perpetually reluctant to follow his destiny. That means Chloe must be given constant moral choices that are so gray, yet so dark, it is easy to see why she takes them. They must be moral choices that resonate with the audience in a very real world way. From the start of season 8 Clark must identify his weakness (a desire to be human). To be human is to be vulnerable, and Clark must constantly be touched by problems super powers can not solve. He must constantly struggle against crises which can only be solved by shaking people out of apathy and bringing them together. It is normal people on the periphery that do the actual work that solve the long term problems. Clark catches the falling man and is the catalyst for them to unite. This will set the stage and provide the motive for Clark to transform from farm boy to reporter. He can not save Chloe from making bad choices and in the final episode of season 8 her choices lead to her devastating death. If in that episode you can make me cry then Clark will have earned the right to become Superman, a beacon for apathetic people to unite around. Metropolis can hail the return of Lex Luthor, and if the producers want or need to they can enlist a brand new cast of actors for a brand new show. Not only would this ensure the franchise on the CW it would give the current cast far more emotionally complex roles. Hopefully they will get to perform some powerfully dramatic scenes that show, after seven seasons, these actors have earned their chops and can perform in any movie Hollywood might offer them as they move forward in their careers. The CW should not worry about the darker story lines but should use it as an opportunity to beef up their prime time to a level that can compete with the major networks. If you like this article and CW to take my advice email a link of this site to the CW under the heading: THE DEATH OF SUPERMAN feedback@CWTV.com or show your support by clicking on an ad you like. If they completely avoided any and all hints at Superman on "Smallville" then there's no guarantee we'll ever see him in your proposed spin off. It'd just be "Smallville" except with Clark in a big city, sans any and all allusions to Superman again. They just will not explain how he becomes Superman and how all of this becomes coherent. They've openly admitted it, even though apologists say they were just joking, that they don't have to explain how to connect Superman to this series. They're going to cop out and present a finale with Clark still in Smallville or on the way to Metropolis. I think you have an interesting idea for season 8, but like you said at the beginning of your post, the show is aimed at 13 year olds. There is no way the writers would ever do anything that complicated. The deepest that they ever get is when they "surprisingly" kill a character, then everyone is all sad. I don't see the writers leading to any actual connection to Superman. All they will ever do is use innuendos and stuff, like when they put glasses on Clark a couple episodes ago. Again, this is a really well-thought out proposal for Smallville season 8. Now, as far as my history with the show, being a Superman fan, I started watching it from the pilot episode, and stayed throughout seasons 1 & 2. By then though, I’d begun to grow tired of the show’s habit of recycling plotlines (female character is stalked by some sinister, secret admirer; female character falls for potential boyfriend material, causing Clark to get jealous and/or protective, while the potential boyfriend turns out to be a bad guy; random character’s personality changes due to some external force, and by the end of the episode, when character returns to normal, he/she has selective (and terribly convenient) amnesia, keeping Clark’s secret safe; there are others, and I’m sure you know them by heart), so when season 3 came around, I had already stopped watching on a regular basis. I’d subsequently return on a very infrequent basis, to watch particular episodes that piqued my interest (like when the show would introduce other DC heroes like Aquaman or Green Arrow), but always found that the show hadn’t seemed to improve enough to regain my attention. Despite my distance from the show, I do still keep abreast of its production comings and goings (as I keep a generally close eye on film and TV production as a whole), so was aware of the season 8 shake-ups. Now, though your proposal effectively posits a scenario that can function without the presence of Lex, I’m having a bit of a hard time imagining Chloe could become this sort of Machiavellian character who would purposely endanger innocents and civilians so that she could, in effect, force-grow Clark into the hero she knows he is meant to be. Incidentally, we do intersect on one point, in that, as early as the pilot, I felt that the one character they could bump off, perhaps in the very last episode, and whose death would catalyze Clark’s transformation into Superman, was Chloe. She was, after all, the only character from the original line-up of the show, who didn’t exist in the DCUniverse, and was, to put it bluntly, expendable, as her death wouldn’t enrage the countless fans of the comic. They have, of course, bumped off Pa Kent since then, but I still feel Chloe’s death would be a very potent event that would shake Clark (and the show’s audience) to the core, and make the victory of Clark donning the red cape and boots come at a heavy and substantial price. Right at the very start of the show, I was also hoping that down the line, the show would evolve into Metropolis, and I’d finally see the suit and the show could really get into the superheroics of the character. Of course, as the seasons came and went, it was pretty clear that Gough and Millar were sticking to their “no flights, no tights” dictum, and as the seasons seemed to be stretching the show on and on, the thought of actually seeing a costumed, live-action Superman on TV began to seem like a pipe dream. And of course, with the actors understandably wanting to move on, it was beginning to look like season 7 was to be the show’s last. But the writers’ strike happened, and like some other shows that were possibly wrapping up (like E.R. ), Smallville got another season, which looks to really be its last now. So at this point, a 9th season (Smallville under its new title, Metropolis) looks rather bleak. If there is to be a Metropolis, I imagine it would be an entirely new show, with an entirely new cast, as everyone on the show at this point looks really tired of having played their characters since the millennium turned. It would be a good move for CW to consider Metropolis though, as Smallville is one of their highest-rated shows. Then again, since it would be an entirely different show, that wouldn’t necessarily mean it would get the same sort of ratings Smallville did. Still, since I’m a big believer in superheroes in costumes, I haven’t given up all hope that there could possibly be a show like Metropolis, though at this point, I’m not holding my breath. As soon as Clark Kent becomes Kal-El, he becomes incomprehensible. Because, fully accepting his destiny, he becomes an alien. This is why Superman Returns failed for so many in the audience; Kal-El, which is the part of Superman that is all about his destiny and solving the big problems, isn't a likable character. He's not even an understandable character. That's the point of him. Clark Kent, however, is interesting. He struggles with his destiny, his choice to be as human as he can be while still acting as the hero that his alien powers allow. But this show is simpler than those stories. Which means that, although the actors might have outgrown their parts, the writers are likely to continue writing the same episodic stories they did before. Because they have made a stark and extreme differentiation between Clark Kent and Kal-El. They'd have to resolve most of this conflict before Superman will appear, and I don't think they have the writers for it.